Tires are no longer just rubber and oil. Instead, they are made up of several layers of materials, each playing its own role in how the tire functions. Today's tires last longer and are less prone to dangerous blowouts than older tires. They are also better at maintaining contact with the road and can even help a car's performance. Choosing the right tires has drastically changed over the years. As an example a vehicle towing heavy weight will need a high load rating tire. If a vehicle is driven in an area with heavy rain or snow, you might prefer the purchase tires with a better traction rating, the life expectancy of a tire depends on road conditions, driving habits, usage and the type of tire. Your tires need to be changed at the very least every 6 years. The rubber in the tires dries out over time. This can lead to cracking, greater stress on the tire's infrastructure and catastrophic failure. A great drive starts with properly installed tires! At Hernandez Tire Pros we have professionally trained staff on hand to provide the best tires and tire installation in the industry. Your tire pressure monitoring system, often referred to as TPMS, is an electronic system designed to monitor the air pressure in your tires. This system uses real time tire pressure information to alert you if there is a tire pressure problem. If your tire pressure drops to an unsafe level, it will alert you via a light or warning message. Many systems will also tell you which tire is low. Low tire pressure is not only a safety issue, but it will also drastically shorten the life of a tire. Tire pressure sensors are powered by a non serviceable battery and will eventually fail due to low battery voltage. The average lifespan of a tire pressure sensor is 7 to 9 years. It's also recommended that sensors be replaced or properly serviced when new tires are installed. At Hernandez Tire Pros we have the tools, equipment, training and knowledge to properly service or diagnose your Tire Pressure Monitoring System. We would be happy to handle all of your tire service needs today. While you drive, your tires wear at different rates due to steering. The most notable wear occurs on the front tires. Regular tire rotation can keep the wear on your tires even, improving fuel economy, ensuring proper handling, and extending the life of your tires. Depending on the vehicle, your tires should be rotated every 6,000 to 10,000 miles. 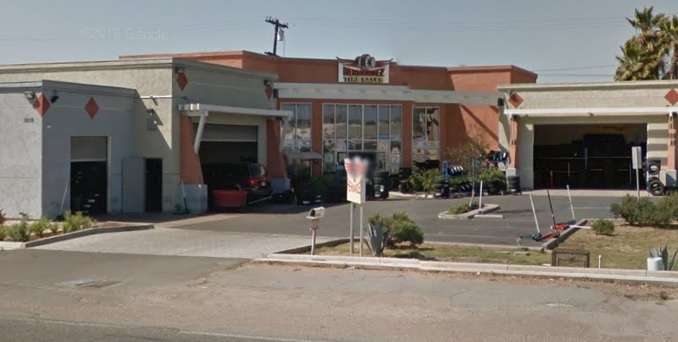 The tire experts at Hernandez Tire Pros can quickly and professionally rotate your tires at your convenience.